If you have a TFL accident claim, our experience pays. If you have been injured while on a Transport for London service, if you believe negligence is the cause you may be eligible to make a TFL accident claim for compensation. Transport For London or TFL runs London’s public transportation network. They are responsible for operating London Buses, London Underground and Overground, Victoria Coach Station, London River Services, London Trams, TFL Rail, London Dial-a-Ride and the Emirates Air Line cable car link across the River Thames. Transport For London goes to great lengths to train their transport operators and maintain all of their transportation modes. Unfortunately, accidents can and do happen despite putting all required precautions in place. If you were injured while using any of TFL’s transport services, you may have legal grounds for filing a TFL accident claim. Pursuing a TFL accident claim is similar to filing any public transport accident claim. The only difference is that in this case, the accident must involve any one of the transportation services operated by Transport for London. What Could You Make A TFL Accident Claim For? Driver Negligence – Speeding, driving rashly with no concern for the safety of the passengers, braking forcefully to bring the vehicle to a sudden stop could all come under driver negligence. TFL Negligence – This may range from inadequate safety precautions to badly maintained vehicles and mechanical faults. 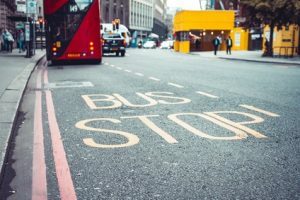 Regardless of whether the accident was caused due to TFL’s negligence or a driver’s negligence, in the scenarios above, your claim will still be against Transport For London. Being injured in any public transport accident, whether you are travelling by road, rail or waterways, can be a frightening experience. Trying to remember everything you ought to be doing will likely be the last thing on your mind at that time and that is understandable. However, doing at least some of the things listed below if you have an accident because of negligence will help lend weight to your TFL compensation claim. Write down any details relating to the service you were using such as bus number, bus stop, train station, driver number, date and time and so forth. Keep any evidence of the service you were using such as a train, bus or tram tickets. Use your phone to take photographs of the scene of the incident. Even better if the photographs can show the cause of the accident. Get photographs of your injuries. Ask for the names and contact details of other passengers who have witnessed the incident. They are the best witnesses you can find to attest to the exact cause of the accident. They can also provide witness statements attesting to the fact that you were injured in that particular accident. Inform TFL that you were injured in the accident. All of these can be used as evidence to support your claim for compensation. If you have been involved in a life-changing incident on TFL or have been affected by one you could also be eligible for help and support via the Sarah Hope Line, more information can be found by visiting this page. What Compensation Could You Claim For? General damages – This covers physical pain, mental trauma, anguish and ongoing stress. All travel expenses that you had to bear because of the accident, including the cost of travelling to and from the hospital for your treatment. All medical expenses that you had to bear as a consequence of the accident – This includes any consultation fees as well as the cost of any diagnostic tests, prescription medicines, hospital stay, short term treatment and projected long term treatment. All home care costs if you needed to get somebody to help with your everyday chores that you were unable to perform because of your injuries. You are entitled to compensation regardless of whether the person caring for you is a professional, a family member or a friend. Loss of income and other perks from being forced to stay home from work due to ongoing health issues resulting from the TFL accident. The exact amount that the compensation will add up to will depend on various factors, from the severity of your injuries and the effect it has had to your actual and projected cost of treatment and your financial losses. Filing a TFL accident claim can be time consuming and stressful as you work to put together all of the evidence and build a strong case to support your claim, so the best option is to have a personal injury solicitor to process the claim for you. You can start the process off right away by contacting us for a free consultation. Typically taking around 10 – 15 minutes, you will be asked various straight-forward questions about your accident on Transport for London so the solicitor can get a good grasp of what has happened and advise whether or not to pursue compensation, in their opinion. If they believe TFL should compensate you for your injuries, most personal injury solicitors will suggest filing your TFL accident claim using a No Win No Fee agreement. A No Win No Fee contract essentially states that you will not be charged any fee if the claim is unsuccessful. If your TFL compensation claim is successful and you are awarded compensation, an agreed percentage of the compensation settlement would be deducted as payment. What Will Your Solicitor Need To Build A Strong Claim? A detailed account of where, when and how the accident happened. Details of your injuries, the medical treatment you’ve undergone or are still undergoing and your doctor’s notes. Your doctor’s testimony about your health and whether you are likely to have ongoing health issues resulting from the injuries. Pay stubs to show proof of your earnings prior to the accident and loss of income after the accident. If you would like free advice from a personal injury solicitor on a potential TFL accident claim, please call 0800 6524 881 or use one of the forms on this page to arrange a call back.